Toddlers - TenderHearts Learning Center Inc.
Our early curriculum for toddlers provide an enriching environment with activities that are designed to enhance your child’s total development. The curriculum allows your two-year-old to spend busy, fun-filled days engaged in activities that promote learning and discovery. Your child will learn as he or she plays. 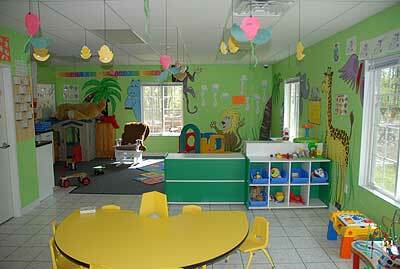 Your child can investigate brightly colored objects and shapes, play dress up, or practice somersaults on soft mats. The toddler curriculum also focuses on constantly listening to and talking with your children. We hold them, rock them, and encourage their social, emotional and language development. We surround them with age-appropriate toys and tools to encourage exploration and discovery and enhance their overall development. We provide every opportunity possible for your child to develop his or her own interests, at his or her own pace. Your child will spend each day in a variety of activity nooks, each designed for special purposes and experiences so necessary for toddler growth and development. All children participate in a daily learning session. They will practice their shapes, colors, numbers, social skills, and language skills including sign language and Spanish.